This packaging equipment uses screw drive to dispense the powder material such as wheat atta, rice atta , turmeric powder, chilli powder, spices etc. The ready pouch is kept below the screw on the platform provided in this packing machine. The continuous weighing of the material dispensed through the screw (filled into the pouch) is done & the feedback is given to the controller of the screw drive. The specially developed software for this packing equipment accurately controls the moment of the screw thus giving accurate weight. 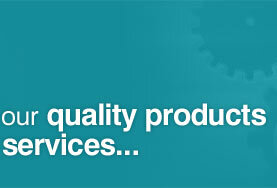 EASY PAC is the packaging equipment used for packing various types of solid free flowing items. This packaging equipment is named as EASY PAC to emphasis its ease of operation. This packaging equipment is semi automatic packing machine which uses load cell to weigh the item & dispense it into the ready pouch/box/container, etc. As the pouch making machine is not the integral part of this packing equipment, it is categorized as the semi automatic packing machine. 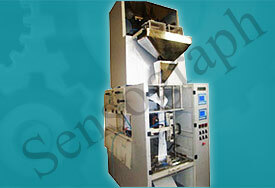 Manufacturer & Exporter of Packaging Machines The company was established in the year 2007 at Mumbai. Our dedication and commitment has got us an outstanding position and we are determined to deliver absolute satisfaction at all costs, to our clients across Pharma, Grain & other industries. Rugged construction, Customization, Safe & trouble free operation are some of the features of our organization.Our product line includes Grains, Spice, Powder, Snacks, Dry Fruits, Counting & Packaging Machines.We provide custom engineered solutions for Grains & Spice Packaging Machines.Our Powder & Snacks Packaging Machines have various types of packaging solutions depending upon the types of product We are specialized in offering Dry Fruits Packaging Machines that are best in the industry. Along with that we offer Atta & Flour Packaging Machines that are well known for their impeccable performance.Our Counting & Packaging Machines are setting a benchmark in the industry.To get the best quality products.